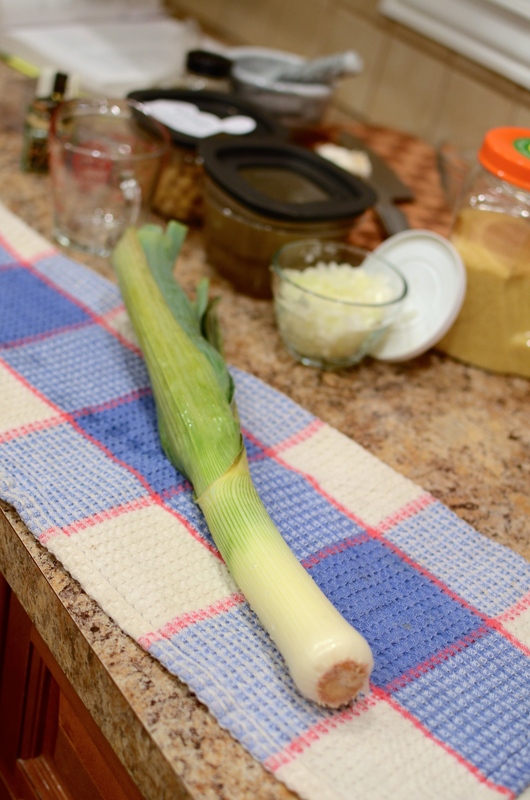 Today’s recipe is brought to you by this lonely leftover leek. 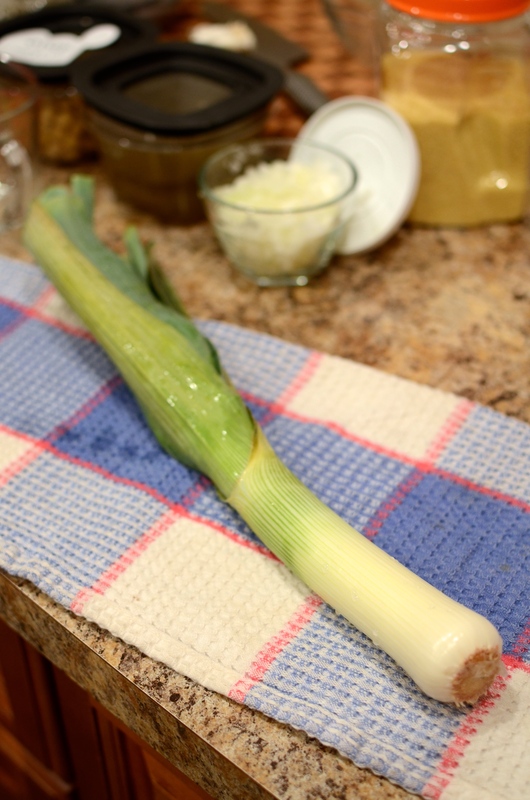 This leek has a story, as many of my leftovers do. It traveled back from Central New York, where Matt and I spent the Presidents’ Day holiday weekend. Saturday was Valentine’s Day, and our original plan was to dine at a restaurant a few miles outside of Ithaca. First we spend a little time at my sister’s house, gathered cozily around the family’s large rustic table, blazing wood burning stove nearby, celebrating my niece’s 6th birthday. As Matt and I started to head into town, the snowstorm began. This particular weekend’s snowstorm (because anyone in the Northeast can attest to the fact they have been weekly occurrences) featured periods of whiteout conditions. The drive was challenging. Glumly, I agreed to nix the plan for dinner out. 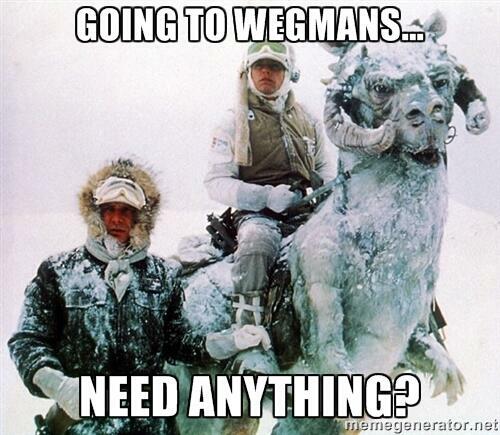 Our sensible revised plan was to enjoy a leisurely stop at Wegman’s to shop for dinner ingredients! We opted to plan for fish and vegetables steamed in parchment hearts (how appropriate! ), which required a bunch of leeks. And that brings me to this leek! 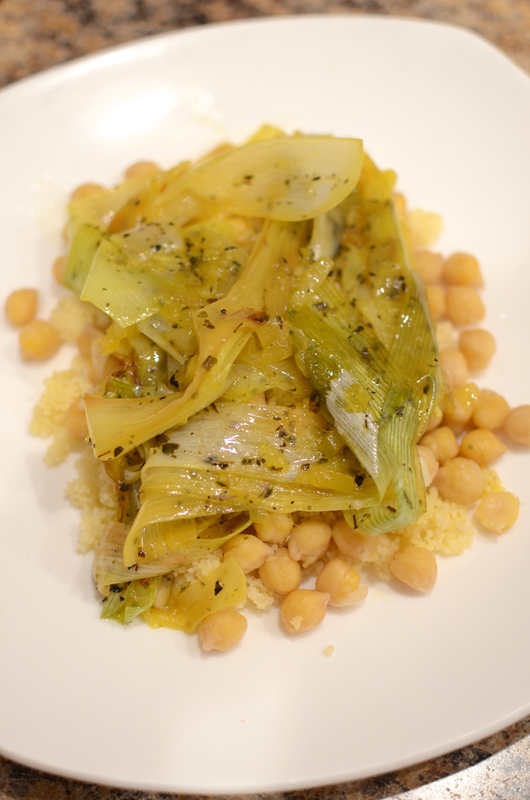 And the recipe from the leek section of Alice Waters’ cookbook, The Art of Simple Food II. Only a few pantry additions were required for my to make this little dish. I recommend keeping cooked chickpeas on hand for times like this, because they can enhance other leftover vegetables to make a more solid meal meal. Prep your leek and onion. In my case, I had leftover chopped onion that needed to be used. Cut off the root end of the leek, and most of the greens, leaving about 1 inch. Slice in half lengthwise and dip in cold water to swish out any dirt or sand. Pat dry. 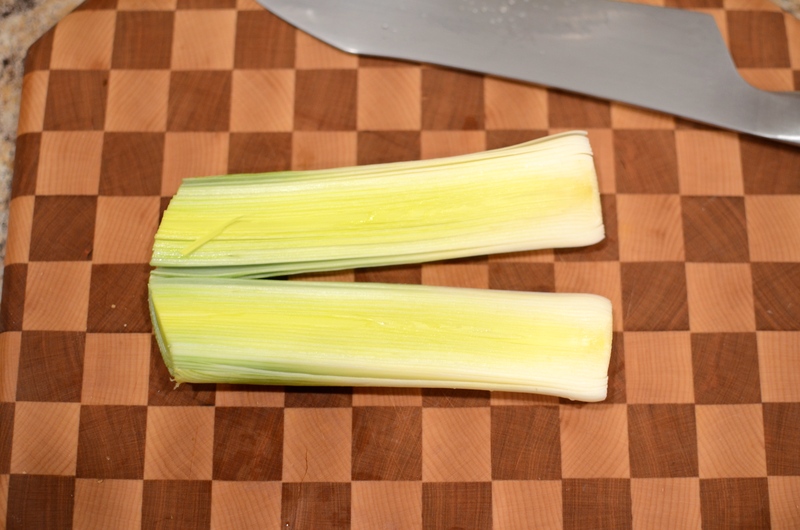 You could slice the leeks in half lengthwise again, to quarter. See my saffron? It might be as old as the number of years I have been living on my own…seven plus? *Gasp* That means that the expensive price of $17.50 seems much more reasonable if you calculate its per-year value. 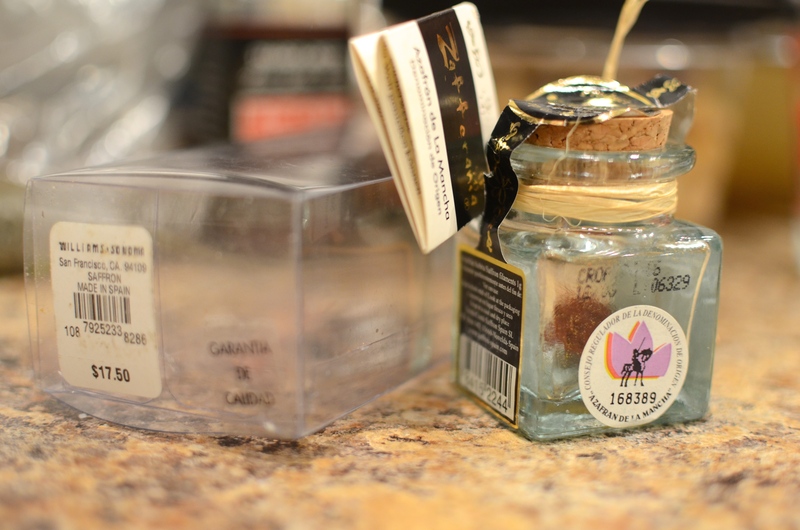 Of course dried herbs aren’t supposed to be kept that long, to be truly flavorful. But the old saffron will still be effective at adding the golden color. And hey, we eat with our eyes, right? 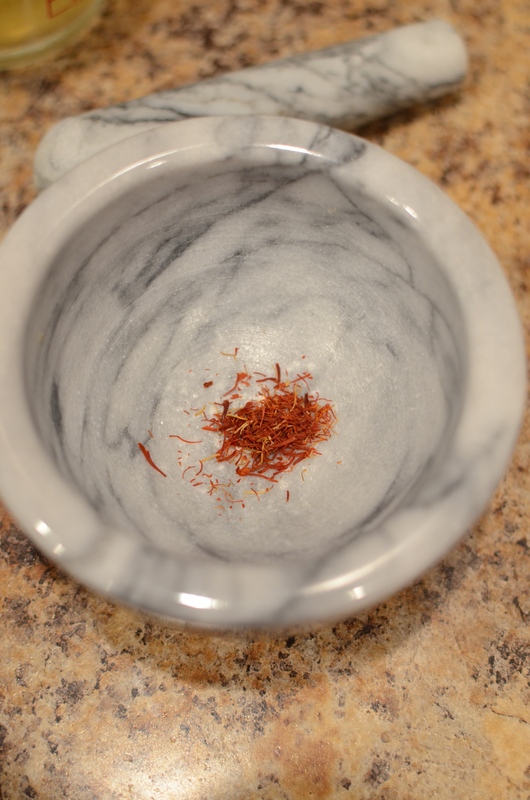 With a mortar and pestle, crush the saffron threads. If the vessel is large enough, stir in the 1/2 Cup broth, a generous pinch of salt, and 2 teaspoons of EVOO and set near the stove. 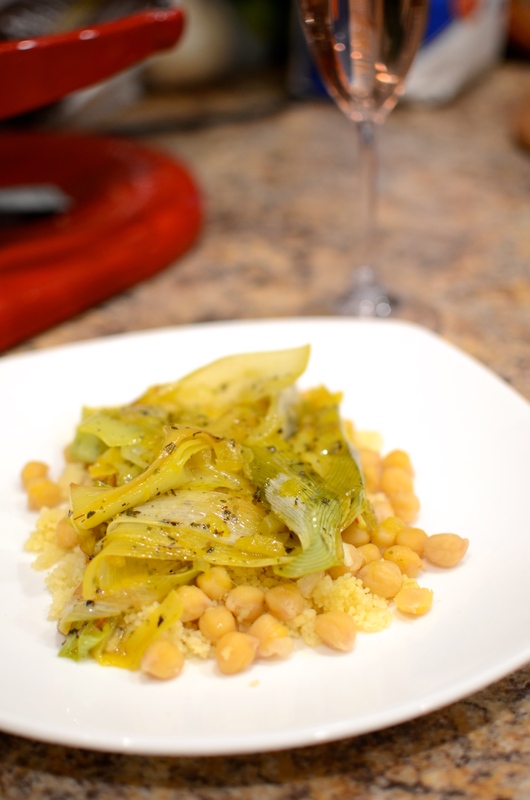 Smash the garlic clove and set aside for heating with the chickpeas. Set a large pan with a heavy bottom over medium heat; pour 1 Tablespoon of olive oil. 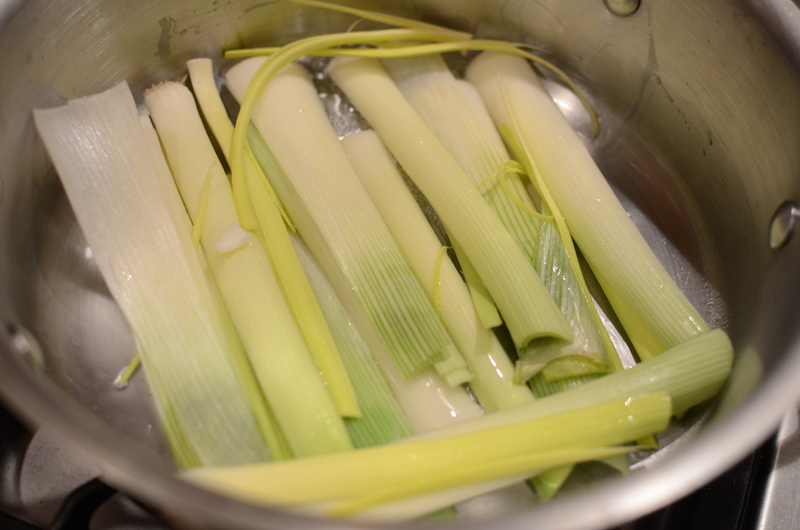 Arrange the leeks cut-side down and allow to brown slightly, about 6 minutes. 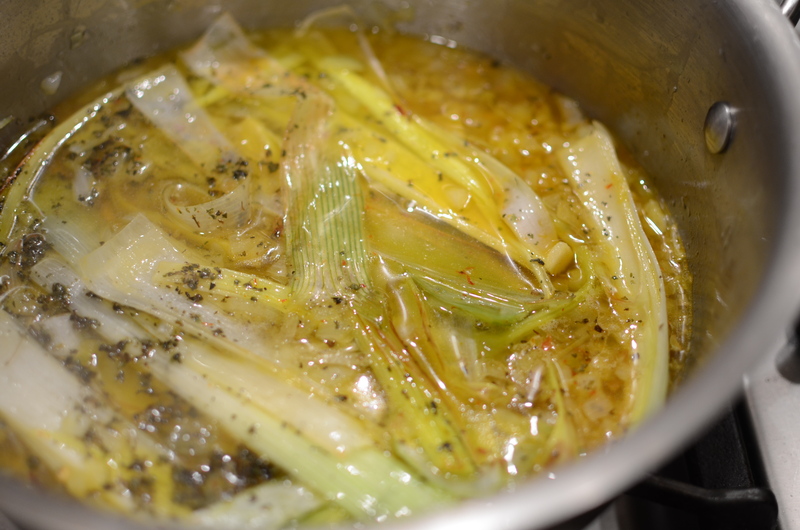 After about 4 minutes of the leeks cooking, add in the onions. Turn the leeks over. 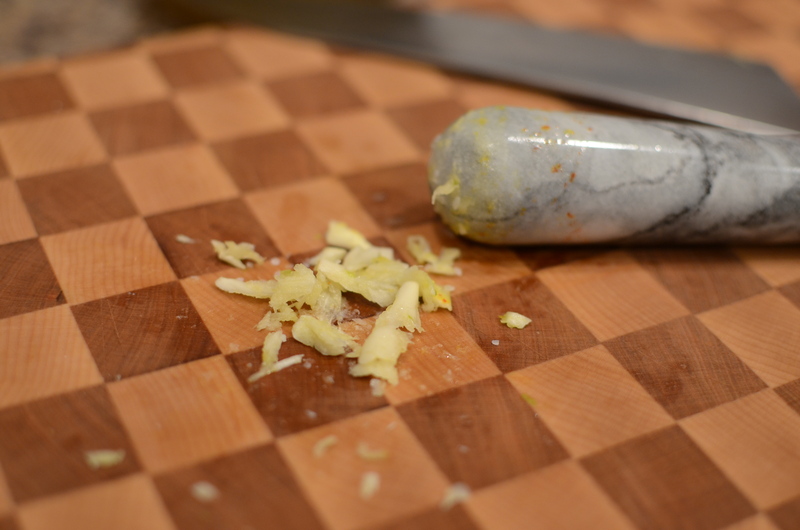 Sprinkle with salt, marjoram, and a pinch of dried chile flakes. Pour in the saffron stock. Add more water to be sure the leeks are sitting in liquid, but not submerged. 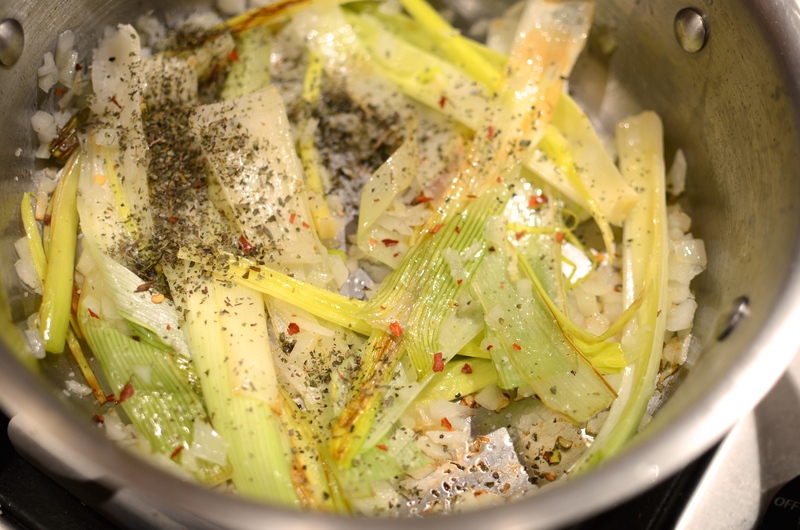 Partly cover the pan, and cook about 12 minutes, until leeks are tender. Remove the lid and allow the liquid to reduce for about 5 minutes. Meanwhile, heat together the chickpeas and puréed garlic. Season the leek mixture with salt as needed. 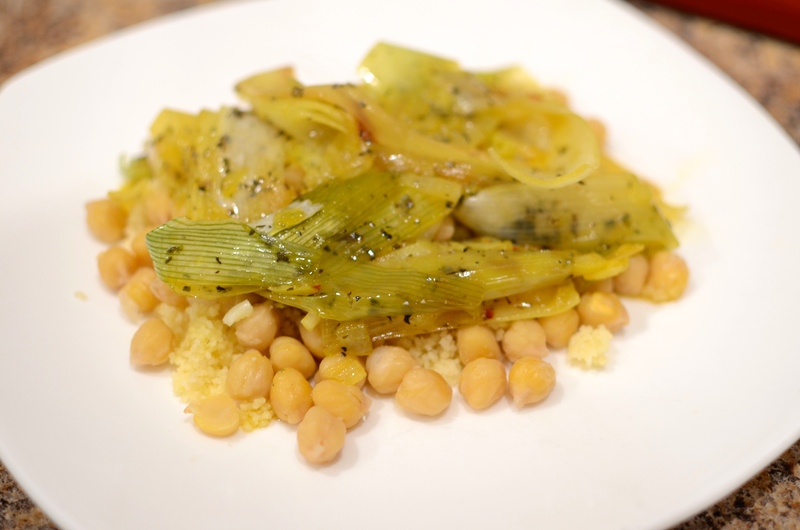 To serve, plate some couscous and spoon chickpeas over top. Spoon some of the leeks and onions, and the braising juices, on top of that. Drizzle with extra-virgin olive oil.